Bryan Dubrow is building a monthly Bluegrass Night at The Grove Spot. This Thursday is their second month there. 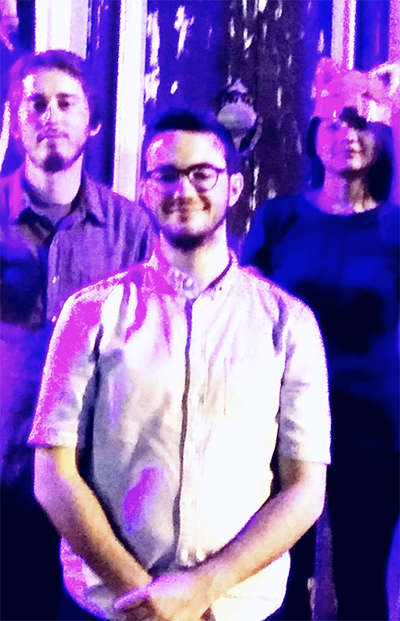 Bryan, along with Max and Ariele will perform from 8 to 11 pm. It's free and open to the public. "The band and I are looking forward to being back at The Grove Spot this week to play some of our favorite bluegrass, folk, and country music. 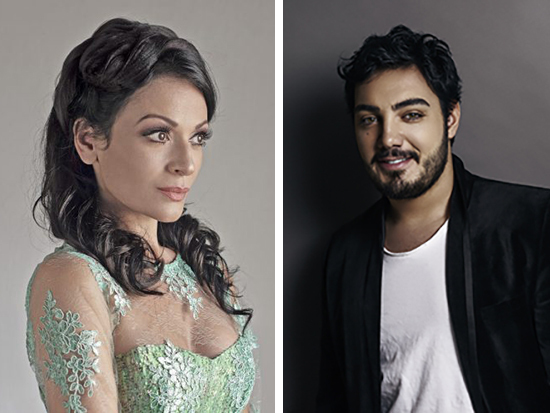 As individual musicians, and especially with this trio, we've found that audiences in Miami are attracted to the exciting and danceable nature of this music, perhaps more than they may have expected. Expect plenty of up-tempo tunes, vocal harmonies, fiddle solos, and instrument swapping to go down Thursday night," says Bryan. The Grove Spot is at 3324 Virginia Street. Congresswoman Frederica Wilson sent a letter to Commissioner Ken Russell on Monday asking if he would defer the Playhouse decision planned for Thursday's meeting. 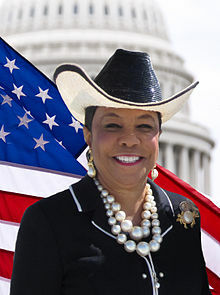 Ms. Wilson would like to be part of the conversation, she called it "a matter of extreme importance," and she would like the opportunity to be fully briefed on the subject as well as participate in an upcoming hearing. On Thursday, April 25, the City Commission has the Coconut Grove Playhouse on the agenda. Commissioners are to decide whether to approve the County's plans. At the last HEP Board meeting, the board voted against the County's current plans, by a vote of 6 to 4, that the Certificate of Appropriateness and demolition permit were denied, yet the county is going to keep coming back and pushing their chrome and glass Arquitectonica structure on the public. Other plans, which are not being considered, include a larger theater by architect Richard Heisenbottle who is quite sure the grandeur can be returned to the playhouse without hurting the current structure. The seating capacity would be 700. Most of the interior would of course be redone including the stage area, but this is good in that it would allow larger productions and allow for larger sets. The basic plan calls for restoration and not demolition, which is the County's plan, to demolish most of the structure, only keeping the "wings" up front. 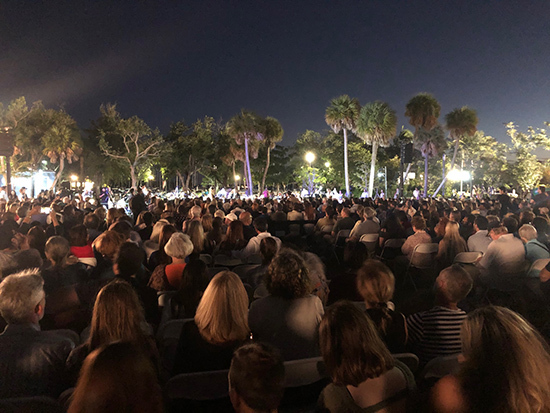 The Coconut Grove Theater Foundation, to which Heisenbottle is a part of the development team, has secured $11 million in private donations and pledges as of April 1. 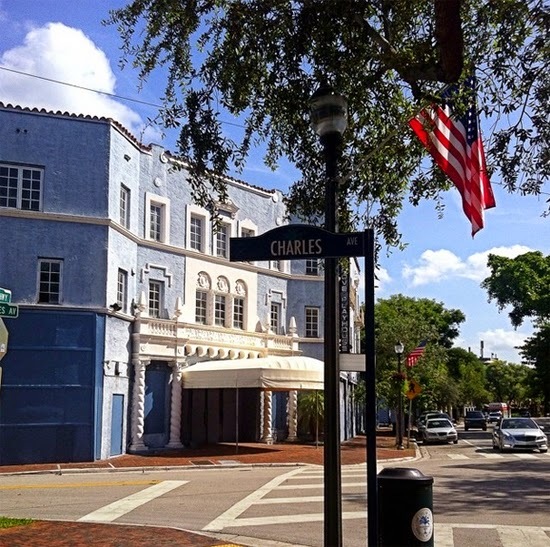 There is an additional $20.5 million that the state has for renovation of the playhouse plus City of Miami and county funding along with federal historic tax credits, bringing the total to almost $43 million. Mike Eidson is president of the foundation. There is a protest March on April 25 at City Hall, which will take place before the meeting. The time for the meeting and the protest has not been set yet. The idea is to send a message to the Commission about the over-bearing developers. There will be a new BID director as of May 3. Current director Nicole Singletary is stepping down for personal reasons. 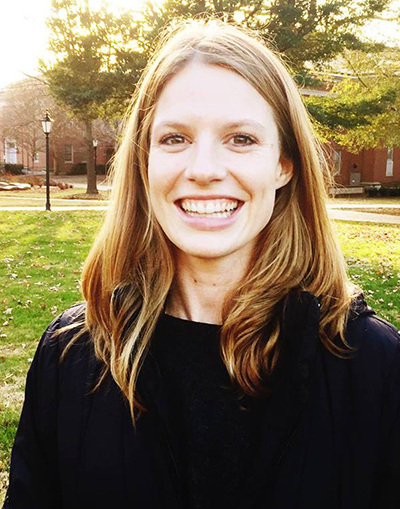 This morning the BID’s Executive Committee voted to appoint Abigael Mahony as the Acting Executive Director for the organization. Ms. Mahony has worked for the City of Miami since January of 2017 as the Senior Aide in the Office of Commissioner Ken Russell. In her capacity as Senior Aide, she successfully developed and executed strategies to increase community engagement and education and has built strong interpersonal relationships with City Administration in addition to Commission and Mayoral staff. "I feel proud of what I have been able to accomplish with the support of my team, board and committee members over the last year and a half, including the launch of the free, on-demand transportation service through Freebee. 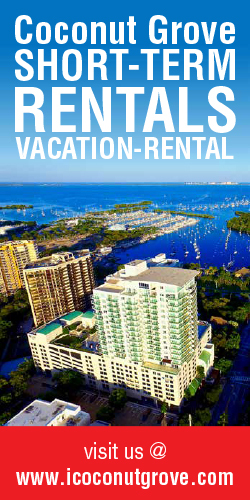 Via partnerships with Entercom and Prism Creative Group thousands of locals and visitors have re-discovered Coconut Grove through our block parties and live music events. 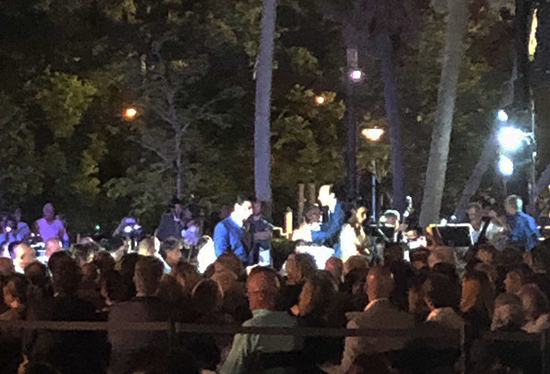 The lighting installation at Peacock Park, and most recently the interactive digital mural at the iconic Coconut Grove Laundry & Dry Cleaners are also beautifying our parks and streets while showcasing the district’s rich history and commitment to the arts," says Nicole. This is the new project by the Adler Group and 13th Floor Investments which has broken ground at the Douglas Road Metrorail station. It's called Link at Douglas. The 7-acre, $600 million project will consist of a public plaza surrounded by 250,000 square feet of office space, 25,000 square feet of retail shopping and 1500 residential apartments. The project will be built in phases over the next five years. 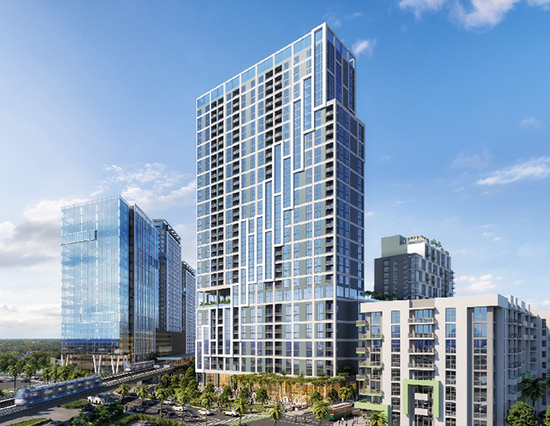 The first tower will be 22 stories high with 312 apartments and 6000 square feet of retail, the second tower will be 36 stories high with 421 apartments and 17,000 square feet of retail. Construction will start this summer. 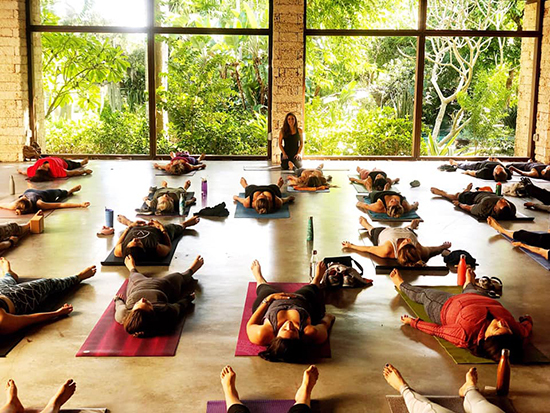 Miami Vibes is having a transformational journey into Health and Optimum Wellness with a special tropical yoga class led by Sam Reynolds at the Kampong botanical gardens on April 27 from 10:30 am to 12:30 pm. Sam Reynolds will guide you through a gentle morning flow inspired by the sounds of nature at the Kampong's open-air studio. A Q & A Panel Discussion will follow at 11:45 am with leaders in personal development sharing tools for transformation. The panel will be moderated by Crystal Tejera of Miami VIbes. Coffee and light bites will be provided by Xol Coffee and Tea Company. Tickets are $25 and open to the public. For Kampong members, the price is $15. Please email sam@journeysforthesoul.com for your member discount code. A portion of the ticket proceeds directly benefit the non-profit, Kampong, part of the National Tropical Botanical Garden. Tickets may be purchased here. Crystal Tejera has a passion for personal development and the practice of manifestation. She curates wellness content and partnerships for Miami Vibes Magazine. She’s a reflector by human design and enjoys sharing tools for transformation with those interested in up-leveling their vibes. Sam Reynolds is an international yoga teacher based in Miami. Her mission is to inspire peace, one breath at a time. Her goal is to help students find a healthy balance in life and create an inner journey towards freedom and empowerment. Monica Reyes is a Life Strategist, an activist for compassion, speaker, and truth seeker born in NYC and living in Miami. Liz Nieves currently owns a Miami based Active Wear and Dance Wear Brand, ILOGEAR. Ilogear is manufactured locally and sold in 30 stores throughout the US, UK, Scotland, and Switzerland. Judi Pasos, Transformational Subconscious Psychotherapist, is a licensed mental health counselor and a certified yoga instructor. Admission includes a yoga class with Sam Reynolds, Miami Vibes panel discussion, and all-day entry to the Kampong Botanical Gardens. Part of your ticket proceeds benefits the non-profit, the Kampong. Mats are not provided. The Kampong is at 4013 Douglas Road. The Adopt-A-Planter, paint drive is Saturday, April 27. Come out and help beautify the Grove. This project is focused on painting approximately 60 planters in Village West. Students and adults who volunteer and support this project will receive community service hours. The goal is to paint and beautify all remaining planters along the streets. All painting supplies will be provided. Please contact Linda Williams to confirm your participation at 786-975-8058. The project is from 8 am to 3 pm. Meet at Christ Episcopal Church, 3401 Williams Avenue. The project is sponsored by district commissioner Xavier Suarez, Home Depot and HOATA (The Homeowners and Tenants Association of Village West). The Coconut Grove Chamber of Commerce is presenting "Tea and Mindfulness," a series designed to help reduce stress, conflict, lack of focus and low productivity in the workplace on Tuesday, April 30. Mindfulness is a state of awareness and a practice. 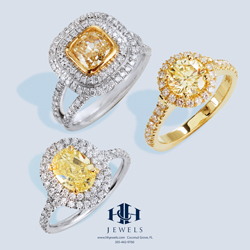 It involves bringing your attention to the present moment and creating an attitude of curiosity and openness. It is not a forced practice. It is a secular practice backed by overwhelming scientific evidence. It’s like training a muscle - training your attention to be where you want it to be. This reduces our tendency to work on autopilot, allowing us to choose how we respond and react. 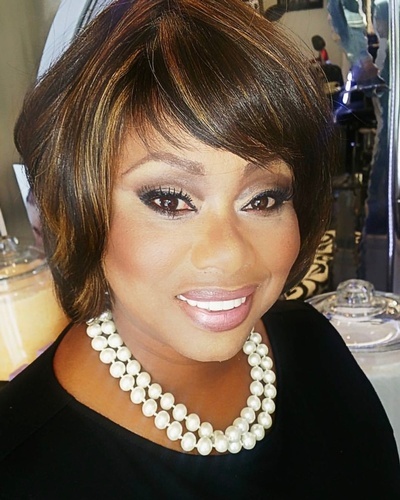 The event is presented by Lorna Owens, CEO of Desert Sage Wonderful World of Tea. Lorna, an attorney, is also a registered nurse, midwife, author, and international speaker to major organizations and governments in over 20 countries. Attendees will experience some of the finest hand-blended, custom-crafted Teas and Tisanes from around the world. The event is at CocoWalk West, 3rd floor rooftop terrace. at 3059 Grand Avenue. Parking is available at Cocowalk parking garage. Arrival and Registration is 3:45 pm, Seminar at 4 pm. General Admission is $10 / free for Chamber members. Reservations are limited to 30 so RSVP here now. 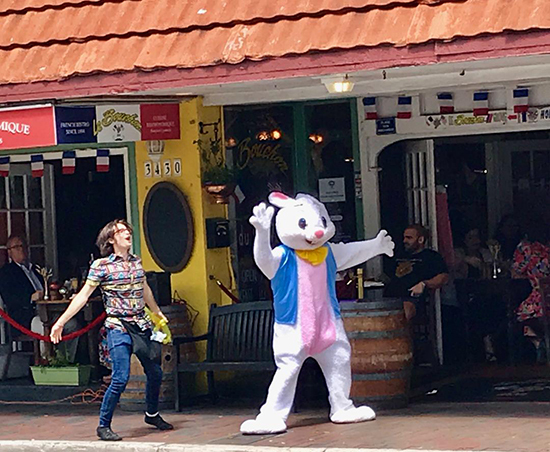 The Easter Bunny was seen on Main Highway today. Look for him while you're out and about the Grove Sunday. 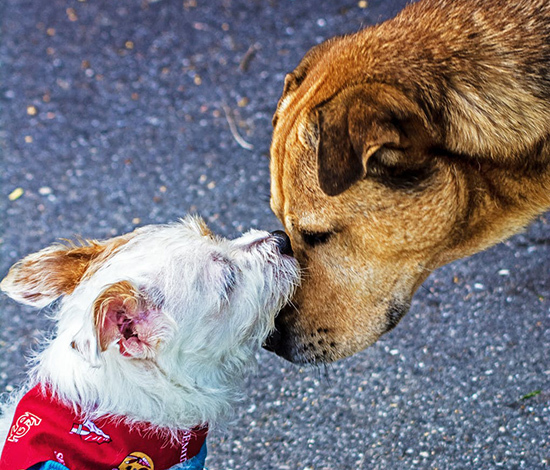 Celebrate at the 9th annual Woofstock hosted by The Barnacle Society in conjunction with Equipaws Pet Services as The Barnacle opens up to pups. Join in for food, live music from The Pitbull of Blues Band, dog adoptions, pet tricks, an animal blessing, K9 Officer demos, dog-friendly goodies and treats like doggy ice cream, and more from 11 am to 4 pm. on Sunday, May 5. Park in one of the neighborhood lots and enjoy a walk down the tree-lined path to spacious, bayfront lawn at 3485 Main Highway. Regular Park Admission is $2 per person, and children under 6 enter free. Well-behaved dogs are welcome. Dogs must be on a hand-held leash. 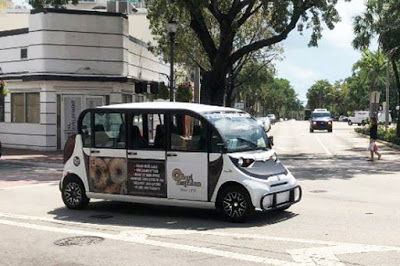 Equipaws Pet Services has been providing dependable dog walking, dog running, pet sitting, and overnight services for the pets of Miami since 2011. The 17th annual Lou Gehrig's Disease Run/Walk will take place in Coconut Grove and Coral Gables on Saturday, May 11 starting at 7:30 am. 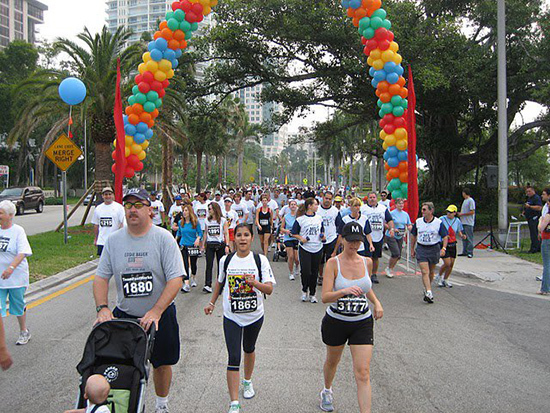 The 10K and 5K Run/Walk is one of the most enjoyable courses in all of South Florida. Running through Coconut Grove and Coral Gables allows the runner to have complete shade as you pass under the giant banyon trees. The proceeds from this years race go to the ALS Recovery Fund. The race starts at Miami City Hall, 3500 Pan American Drive. Every dollar helps them to reach their goal, and they have made it easy for you to help. Please consider making a direct donation or create a fundraising page and a running team. Fundraising pages can be created for individuals or teams. The registry page is here. 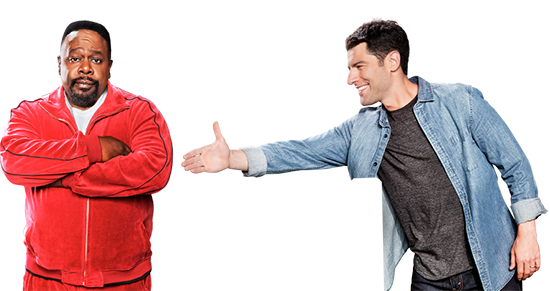 The CBS tv show, "The Neighborhood," which stars Cedric the Entertainer and Max Greenfield, is having a contest. In the spirit of the show, they are asking communities to nominate a neighbor who has made a positive difference, either within their neighborhood or to you personally. "By nominating a deserving neighbor between April 15-May 15, you, your 'Great Neighbor' nominee, and two guests could win an all-expenses-paid trip to Los Angeles to watch a live taping of "The Neighborhood's" second season this fall," says the promo. Also, four deserving runners-up will receive a sponsored “Yard-e-que” block party for their immediate neighbors. You can check out the show on Monday nights on CBS at 8 pm. You can nominate a neighbor here. Videographers will be recording everyone who would like to participate at the Playhouse on Thursday, April 18. If you would like to be part of this, please be at the Playhouse at the corner of Main Highway and Charles Avenue at 4:30 pm on Thursday. Norman Kassoff of the Miami Rotary Club will be the guest speaker at the April 18 meeting of the Rotary Club of Coconut Grove. Kassoff will outline how Rotary started in Miami in 1917 and what it has accomplished. Miami’s early founders. Its first president was Dr. James Jackson, who participated in the early development and many civic aspects of the new City of Miami. Upon his death in 1926, the community recognized Dr. Jackson for his many outstanding contributions by establishing Jackson Memorial Hospital in his honor. For the first 50 years of its existence, the club had representatives of local and state government, banking, airline, business and religious establishments as part of its membership. This allowed the club to partner with the public and private sectors in much of the community’s early development. The Rotary Club of Miami was active in bringing to Miami the YMCA, Boy Scouts of America, Humane Society, and Lighthouse for the Blind. Several members of the club were signatories to the founding documents for the University of Miami. The Woman's Club of Coconut Grove is having an open house Happy Hour on Thursday, April 18 from 5:30 to 8 pm. There is no entry charge, it's a networking event, everyone is welcome. There will be hors d'oeuvres and a cash bar. Members from The Woman's Cancer Association will be attending. Part of the proceeds from the cash bar will go to their association. They will also be honoring Commissioner Ken Russell with a plaque for his continued support to our club and their causes. The Woman's Club is at 2985 S. Bayshore Court. Join all the Zipode finalist for a reading and reception at Vizcaya, on Wednesday, April 24 from 6:30 to 9:30 pm. Tickets may be purchased here. 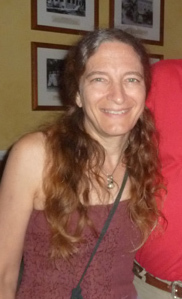 Our friend Theresa Calluori had a poem accepted. She lives in West Kendall and has a friend in the Grove who she always asks to come over, but her friend declines, saying that West Kendall is too far. That's her poem. Vizcaya is at 3251 S. Miami Avenue. Coconut Grove neighbors who have expressed interest in participating in open discussion on Carrollton’s proposed boys school grades Pre K through 5. The meeting, previously scheduled for the Coral Reef Yacht Club has been moved to Hotel Aria (the former Sonesta). Carrollton has plans for a 350 student/50 faculty new school at the location where Villa Woodbine has operated as an event venue for the last 40 years at 2167 S. Bayshore Drive. Please join the discussion Monday, April 15 from 5:00 to 6:30, when committee members will be assigned for a covered community event, hopefully held before schools in the Grove start their summer break that commences Friday May 31. The Aria Hotel is at 2889 McFarlane Road. Please RSVP via text to 305-431-0336 or 305-785-8013.